Do you realize you and I are Exhibit A to the whole universe—to everything in heaven and on the earth and under the earth—of God’s grace? We are examples of His surpassing kindness. You’ll never understand and appreciate God’s amazing grace until you understand your condition apart from Christ. Everything about your salvation originated with God. He chose you to be saved to begin with; that’s election. His regeneration—that is giving you the ability to respond to the gospel message—that’s all by grace. His justification—that is making the final payment for your sin—it’s all by grace. Your sanctification—your becoming more like Christ— that’s all by grace. Your future glorification—one day your physical body being raised up and changed—it’s by grace and grace alone. Do you remember that when Jesus Christ was placed on the cross, Pilate took a sign and nailed it above the head of Jesus? Anytime someone was crucified, there was this sign listing the criminal’s sins that demanded his capital punishment. This sign for Jesus read: The King of the Jews. And there was placed on that cross another sign, one not seen to the human eye. It was the certificate of debt, not listing the offenses of Jesus. It listed your sins and my sins. And who is it that nailed that sign to the cross of Jesus Christ? Taking away the certificate of debt, God nailed it to the cross of Christ. Jesus died for our sins. And that’s why, in the final moments of His earthly life as He hung on the cross, He cried out in John 19:30, “It is finished.” Tetelestai – literally meaning “paid in full.” That’s what Christ has done for you. A number of years ago, there was a symposium in Great Britain on the world’s greatest religions. And one afternoon there was a breakout session and some leading scholars were discussing what it is that makes Christianity different from all other world religions. They were getting into a heated debate when all of a sudden C.S. Lewis walked into the room. If you are a Christian, you have been absolutely liberated from the power of sin. Satan has been defeated. The victory has already been taking place. Right now, we’re waiting for the parade that will lead to heaven to begin when Jesus Christ returns. And on that day, every believer in heaven and in earth and under the earth will march in that parade to our Father in heaven who has liberated us through the death and resurrection of His Son, and we will spend eternity singing praises to Him. That’s what Christ has done for us. He has made you alive. He has forgiven you. You are debt free and, most of all, you are victorious. All because of His amazing grace. Are you living in a way that shows you believe your debt is paid in full? Who is one person you can reach out to today to tell of the grace you have received because of Christ? Pause and consider how different your life is because you chose to trust Christ. Maybe journal through the changes you have seen as a result. Then, thank God that life is worth the living and eternity with Jesus is waiting all because He lives. 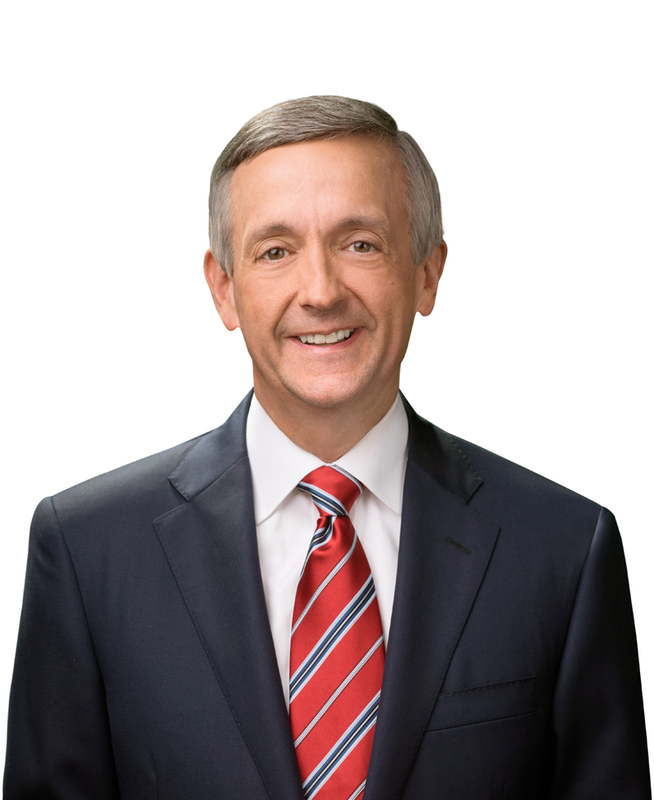 Dr. Robert Jeffress is the Senior Pastor of First Baptist Dallas. He is an adjunct professor at Dallas Theological Seminary, consistently makes guest appearances on various radio and television programs and mainstream media outlets, hosts a daily radio program, Pathway to Victory, and is the author of 25 books. He and his wife, Amy, have two daughters and three grandchildren.